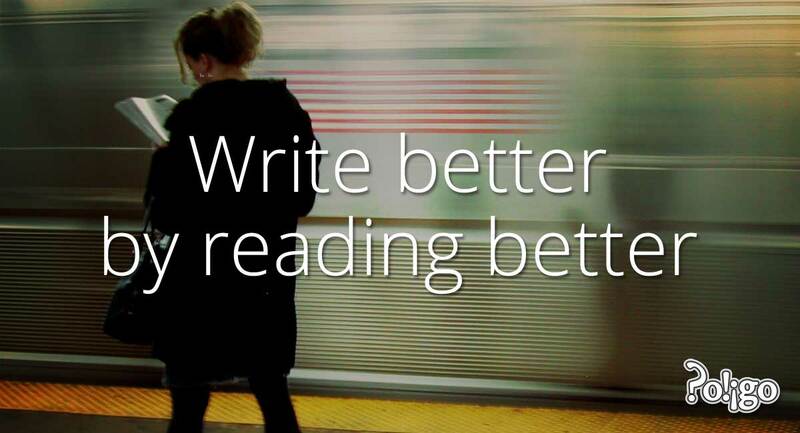 Like good writing, good reading fits its purpose. This naturally means that there are many good ways to read. If you are reading a magazine to relax on a Sunday morning, you will read differently than if you are reading a question on an exam. If you are reading a business email, you will read very differently than if you are reading novel. In general, students read like robots, they read the wrong things and they read in their native language about English. "What does it mean here...?" or some other question about the content. In most cases, my student says to me, "Just a minute" and reads the whole thing again! "Why are you reading that again?" I ask. "You just read it!?" Students tend to read like reading machines, without thinking about what they are reading. They pass over the words, saying the sounds, without thinking. I know this is difficult. It's hard to understand and read and think at the same time, so slow down. I am not in a hurry. Why are you? If you do not, you are just wasting time, because you'll either learn less or have to read it again anyway. Firstly, the level has to be right. If it is too hard, you will give up. When I had been learning Japanese for a few months, I tried to read Norwegian Wood by Haruki Murakami in Japanese. Oh my God, it was hard work! It took me about an hour to read the first page. It was too much work and too much to remember. However, I am not sure that what you read can be too simple. Let me explain. I am learning Portuguese now, and so sometimes I read very simple kid's books to my son. Every time I learn something. I think that even if you go back to your first English lessons, you will remember points you have forgotten. You will pick up things you missed when you were in junior high school. Besides, simple stuff is much easier and faster to read. In the same amount of time you can gain much, much more experience from reading lots of simple stuff, than if you read something more difficult but need to use your dictionary every sentence. The second great mistake is in the choice of material. Think about it this way: If I want to learn to speak Japanese, but I only read the Nikkei, what is going to be the result? My Japanese is going to sound pretty weird. I'll know some fancy words, but I won't be able to chat with my co-workers very well. I see this a lot. It seems to be a popular thing to read the newspaper in English. I am not saying that you shouldn't, but it should be a small part of your reading. If you need to learn to write essays, read essays. If you want to write business emails, read lots of business emails. If you want to practice writing so your speaking skills get better, read novels with lots of dialogue. Above all, make sure that you read a variety of stuff. That way, you'll get a richer experience and better input. If you do it enough, things just start to sound right. It's good to read about a language (to an extent). But whatever you read, make sure it is in English! You waste time! Imagine how much better your English would be if you spent the same amount of time reading in English! If you are Japanese, the sooner you stop reading about English in Japanese (for example), the sooner your English will improve. 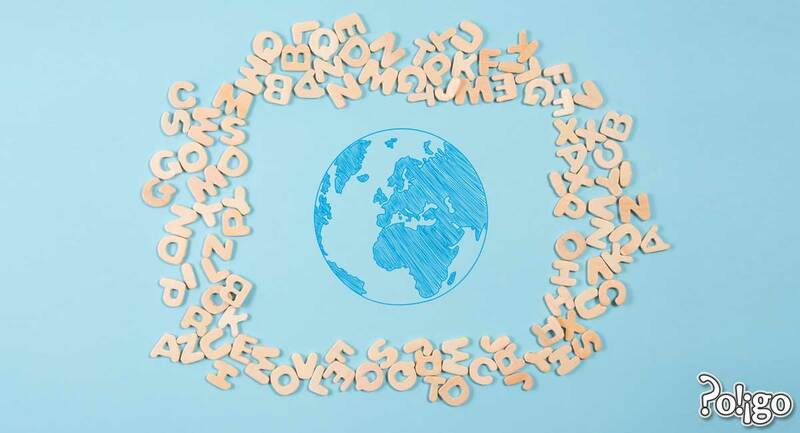 Why do you read in your native language? To learn about things and for fun. In English, you should be reading for fun and to learn about things that interest you too, but there is one more benefit: input. The more input you get, the faster you will learn and remember language. I read once that a native speaker has to hear or read a word an average of 50 times before they will use it. That's totally passive learning. If you want to learn passively, then it'll take a long time and you will need thousands of hours of input. If you don't have thousands of hours, you should make the most of your reading. When you read, take notes. Write down interesting words and phrases in a notebook to use yourself or ask your teacher about. You'll learn new language faster if you use it and talk about it. Review those notes later and your chances of remembering new words and phrases will be even higher. choose the right level and content. Learning to write is a continuous project. 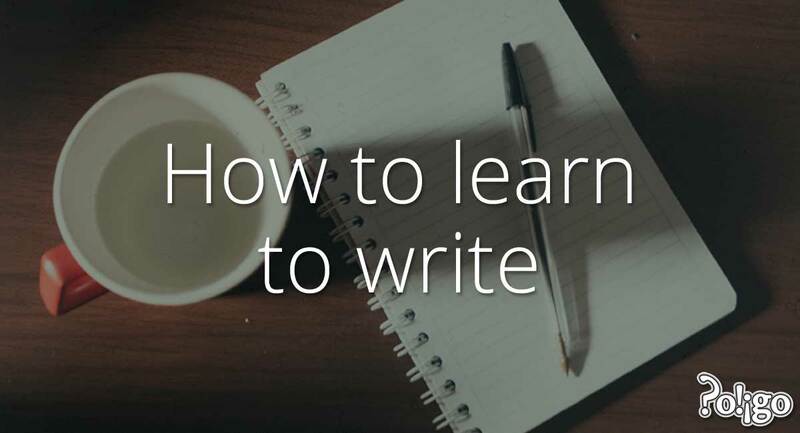 There are four key parts to learning to write. 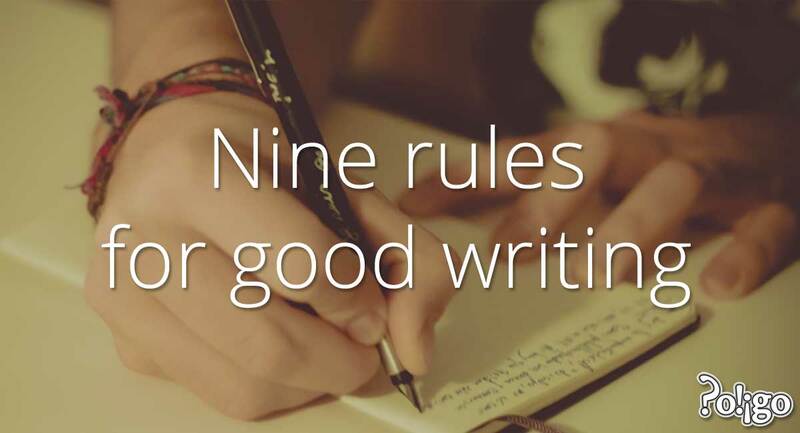 Follow nine simple rules, and your English writing will improve immediately!